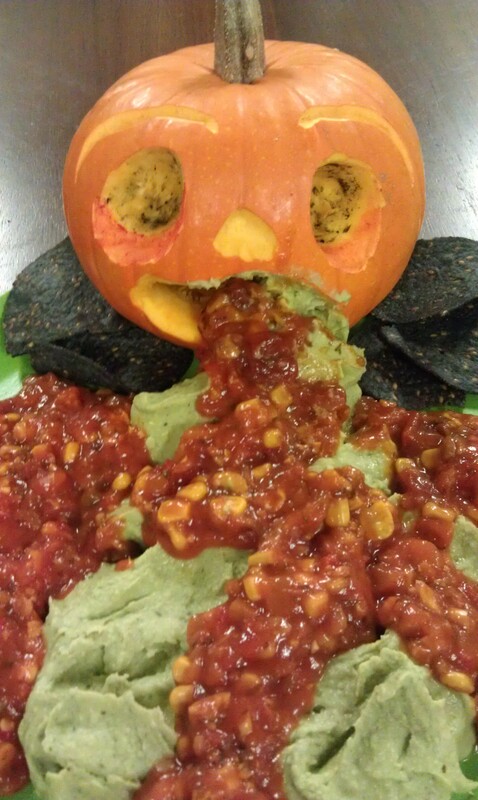 Here’s a gruesome, gross way to serve your guacamole and salsa for Halloween. Hollow out a small pumpkin and spread out your guacamole and salsa for a gross presentation and watch the reactions of your friends, family and co-workers as they dig in. Yes…. I brought this to the office Halloween brunch. Posted in Halloween, Holiday CelebrationsTagged avocado, halloween, pumpkin, salsaBookmark the permalink.